You got Left 4 Dead in my Sniper Elite! The Sniper Elite franchise, to me, is all about those slow motion bullet cam death. I mean, when you line up a perfect shot and get to watch the gory fruits of your labor, it's oddly satisfying. 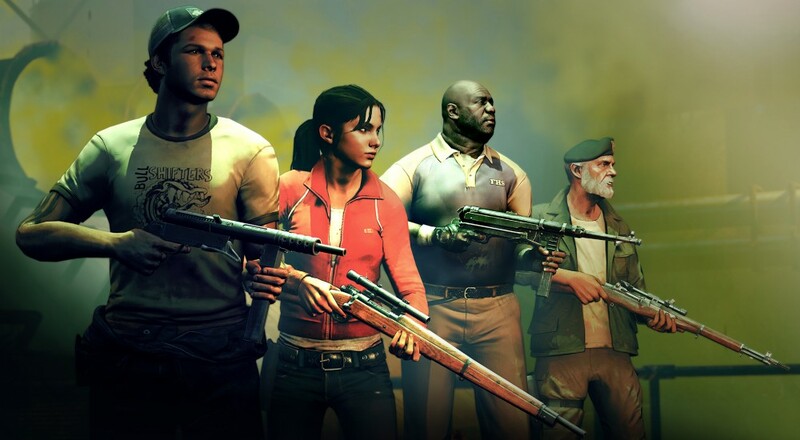 Apparently the Left 4 Dead folks felt the same as the characters from both the first and second game are now playable in Sniper Elite: Nazi Zombie Army. Owners of the game will get these new playable characters automatically and anyone who buys the game from here on out will get them as well. For those wondering how these two great tastes came together, Rebellion has you covered with a free 2000 AD comic. I kinda like this mixing and matching of video game characters in other games. Maybe next we'll see Sonic and Knuckles sniping some zombies. Page created in 1.5009 seconds.